A steaming bowl of Cassoulet is brought to our table by Bridget who made it in her bijou restaurant that was once the school in this tiny Languedoc village. We are sitting in the old school room that still has the blackboard but instead of the lesson it displays todays menu. But we take no heed of that for as usual I have ordered Bridget’s delicious Cassoulet for my clients who have signed up for the Saint-Chinian & Minerve vineyard tour. The comforting white bean stew cooked in a garlicky sauce comes in a terracotta Cassoulet and hidden inside is the preserved duck, duck confit as it’s called here. Dotted around are succulent sausages and sprinkled on top are the breadcrumbs baked to a delicious crunch. Its rich and hearty peasant food and its like has fed the people of the Languedoc for centuries and today my customers are tucking in with gusto. For this dish you need a wine that will help you digest and keep you refreshed so that you can enjoy every last morsel without becoming too full. You need a wine that is not too heavy but has sufficient flavour intensity so that it isn’t overwhelmed by this hefty meal. 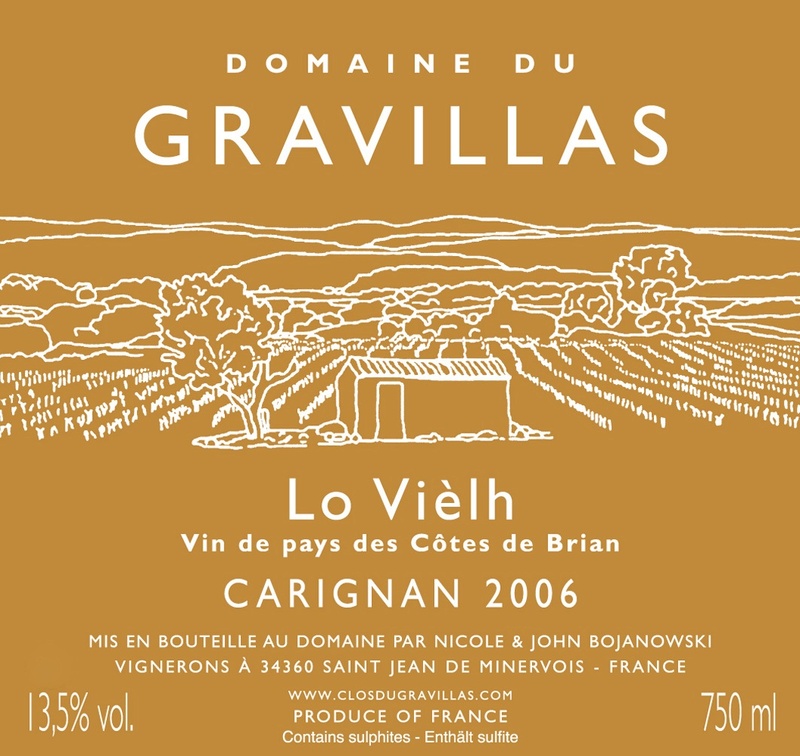 I choose Carignan, one of my favourite grape varieties and the signature grape of Languedoc. The Carignan of choice at L’Auberge du Ecole is made just across the road at Clos du Gravillas. It’s called Lo Vièlh, meaning the Old One in Occitan which was the language spoken here in days gone by. The vines were planted in 1911 on the incredibly stony limestone plateau here in the village of Saint-Jean-de-Minerve and they are still going strong. The wine is enticing, full of charm, style and grace and so fresh that it seems to have mystical powers when paired with Bridget’s Cassoulet. The marriage of these two Languedoc oldies is a convivial one and nothing can come closer to perfection. My love affair with Languedoc began over 20 years ago. We flirted a lot and had some lovely weekends and eventually I capitulated and moved in. My job as a wine teacher was a great apprenticeship for becoming a wine tour guide and my new French life began in 2009 when I started my aptly named business Vin en Vacances. Wine on holiday is exactly what my clients want and they come from all over the world to this part of paradise and luckily many have found me and my tours. It’s a wonderful way of making my living..! Deciding to specialise in Languedoc-Rousillon wines is like trying to learn a new language and I had to do both. Like the French language, Languedoc was full of words that I didn’t really understand but unlike the French language I could not find any books that explained and uncovered the wine region in a simple and easy to access way. Over the years and through the close connections I made with many winemakers I gathered knowledge and understanding and slowly the jigsaw puzzle began to slot into place. My search for a book that would guide me through this wine country had been in vain and surely I wasn’t the only person seeking such a book? I have a number of passions in my life including Languedoc-Rousillon, wine and food and another is sharing my wine knowledge and bringing the subject alive for others. 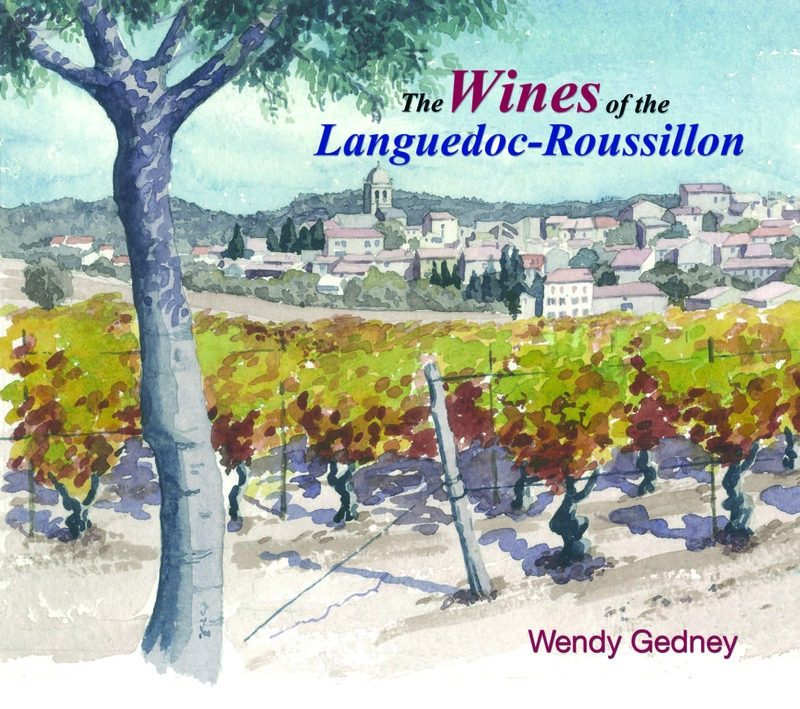 So I decided to write this longed for book myself and ‘The Wines of the Languedoc-Rousillon’ by Wendy Gedney is released this week. The book tells the story of the wines of this region, describes the landscape and the terroirs and how they influence the wine styles in every appellation here. It traces the path of Vin de Pays, its importance here and how many Languedoc producers have embraced this liberating approach in order to create some of the finest wines in the region. I have not dwelled on specific wine makers; I feel that is the exciting part to discover for ourselves. I love nothing more than coming across a wine that is not famed and may have been made somewhere off the beaten track but I fall in love at first sip. This book is the structure of Languedoc-Rousillon, the ‘map’, the guide that I hope you will read and take with you on your Languedoc-Rousillon travels to help you seek out incredible wines, landscapes, food and people. And to satisfy your appetite and accompany a good bottle of Carignan, the book contains Bridget’s marvellous Cassoulet recipe and you’ll find it on page 135. Bon appetite..! Is your book available in the United States?